Personal injury cases usually involve some type of accident where one person’s injury is caused by another person’s negligence. We most often see this on Arizona roadways where one driver speeds or runs a red light, slamming into another car. Distracted and drunk driving is also another common factor these days. Thousands of drivers every day hop into their automobile and starting talking on the phone or texting right away. If you get hit by a driver who was drunk or texting, then they are considered negligent and required to pay for your lost wages, medical bills and other expenses. Accidents also occur on the job. You can be injured on the job in a wide variety of ways, but if the accident investigation shows that someone else was clearly at fault, then they are negligent. Of course, it is not as cut and dry as it sounds. There are a number of things that must be proven in court, such as how the accident happened and who was at fault. Your lawyer must also prove that you were injured and sustained some losses. The personal injury laws in Arizona can be quite complex, making it important to hire a qualified and experienced personal injury lawyer in Glendale. Personal injury can also involve things like drug and medical device recalls. In recent years, the FDA has recalled or issued warnings about Accutane and transvaginal mesh and a few others. These recalls ensued because consumers started reporting problems in large numbers. This, in turn, forced the FDA to take action. Though drugs and medical devices are supposed to be thoroughly tested before receiving approval for public use, there are a couple of ways to get around the testing. Large pharmaceutical companies are well-known for being eager to be the first to get their product on the market, so this can cause them to become careless about testing. However your accident or injury occurred, if you believe it was caused by another person, company or entity, then you have the right to file a claim against them to recover damages. Many times, if you get injured in an accident, the guilty person’s insurance company will contact you right away and urge you to settle. They take advantage of your pain and confusion to try and get you to settle for a low amount. Normally, if you settle early without legal representation, then you won’t receive as much. Zinda Law Group has been serving the people of Glendale, AZ for years with comprehensive legal services. We work hard for our clients helping them get the maximum amount of financial compensation. Our Glendale law firm moves quickly to gather evidence and put together a winning case for you. But it’s very important for you to call in as soon as possible so that our firm can begin working on your case right away. Contact Zinda Law Group Today! Work with a highly skilled Glendale law firm that can help you get the financial compensation you deserve. Contact Zinda Law Group PLLC today and let us help you. We offer free legal consultations, so please call to discuss your case with an experienced Arizona personal injury lawyer. If you’ve been injured due to someone else’s negligent, you should be compensated for your expenses and costs. 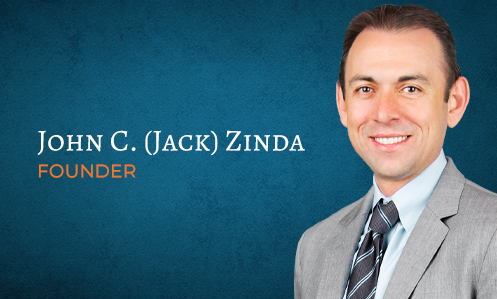 Call Zinda Law Group PLLC, the experienced personal injury lawyers in Glendale.